BMW Extended Warranty: Is it Worth It? All BMW vehicles come with a factory warranty — a way for the car manufacturing company to bring greater value to its customers. However, these warranties are often effective only for a set time period, and most often than not, it is never enough. Once that warranty expires, your vehicle literally loses its protection and all incoming expenses are put on your shoulders. Well, luckily, there’s this thing called extended warranty. BMW’s Extended Service Contracts extends your car’s warranty for a longer time period, thereby continuing the level of protection and security on your vehicle. Your newly-purchased BMW vehicle comes with a factory warranty, which oftentimes isn’t enough coverage for your car. Bumper-to-bumper protection is one of the most popular features of their factory warranty. It covers your car’s powertrain which includes your transmission, engine, seals, drive axle, and gasket. It lasts for only 4 years or once your car’s mileage reaches 50,000 miles. Corrosion warranty is also featured in your BMW’s factory warranty. This covers any damage that is dealt with the sheet metal due to corrosion or rust. This lasts for 12 years for BMV vehicles that were manufactured in 2004 and beyond, but only six years for vehicles built in 2003 or earlier. BMW also got you covered when it comes to the wear and tear of your car’s components. This, however, doesn’t cover your tires which obviously may be the first ones to become worn down through time. Only components that have been damaged due to manufacturing defects are covered. There are also additional items covered in your factory warranty, such as wheel balancing, wheel alignments, and wiper blade inserts. These are only covered until the first 2,000 miles of your car. Also, 24/7 roadside assistance is offered for free for the first four years. BMW also offers limited warranty which applies to all vehicles manufactured in 2017 and later. It covers eligible replacements and repairs and can only be done by authorized BMW centers. This is eligible only for four years or in a car’s first 50,000 miles, whichever comes first. It covers all necessary replacements and repairs for defective craftsmanship and parts, depending on the conditioned stated in the BMW service and warranty information booklet. Then there are the BMW Extended Service Contracts which are offered, of course, with fees. This warranty, however, should be bought before the original and initial BMW limited warranty expires. The BMW Extended Service Contracts cover all new, used, and certified pre-owned BMW vehicles. This is effective for an additional three years or 50,000 miles after the initial four years or 50,000 mile coverage expires. Clients can also choose the plan which can extend the warranty for up to seven more years or 100,000 miles, whichever comes first. BMW’s premiere extended warranty contract is its Platinum plan, fit for those that want to cover nearly everything in their big Bavarian machine. This includes your car’s transmission, engine, drive assembly, electrical, fuel system, cooling system, transfer case, steering, induction, brakes, heating, and air conditioning, as well as its infotainment system. However, the limited coverage option includes part of your car’s interior and exterior. The Gold Plan is BMW’s mid-level extended warranty option that covers most of a car’s major drivetrain components. This includes your vehicle’s drive assembly, transmission, engine, fuel, and cooling system, inductions, brakes, steering, and heating and air conditioning. Meanwhile, the limited coverage only covers the electric and vehicle’s interior and exterior. The infotainment system is excluded. Then there’s the Powertrain Plus plan, which is BMW’s most affordable extended warranty option. This covers most of the drivetrain along with a handful of other parts. Your car’s transfer case and induction system are the only ones included in this warranty plan. Meanwhile, its limited coverage option has your drive assembly, engine, transmission, cooling system, electrical, and fuel system covered. The steering, heating and air conditioning, brakes, interior, and exterior, as well as your infotainment system are all left out. Getting a BMW extended warranty might seem to cost you more, but in reality, it doesn’t. But in the long run, planning for the unforeseen is better when you get billed for repairs. After all, we all drive our cars everywhere and we don’t drive them bubble-wrapped. And not only that but availing of their BMW extended warranty service also assures you that you only get 100% original BMW replacement parts. This ensures everything fits perfectly. 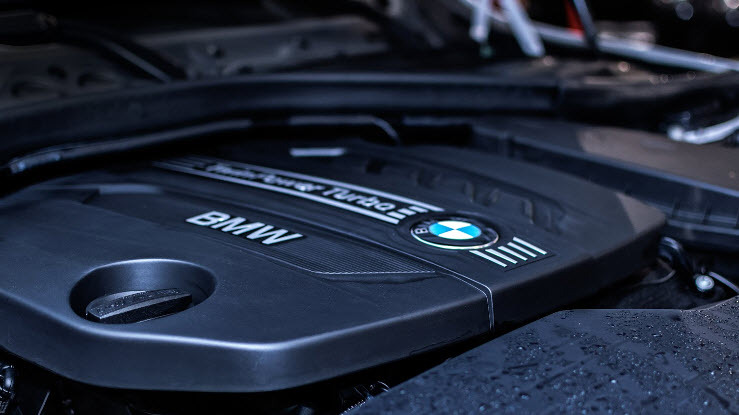 In addition, all replacements and repairs are performed by authorized BMW facilities and professionals, ensuring you the highest work ethic and output quality. Lastly, you get BMW’s 24-hour roadside assistance while protecting your car’s performance and resale value. With this, it would make perfect sense for you to avail of the car company’s extended warranty and bring out the best protection care for your BMW. It’s totally worth it.